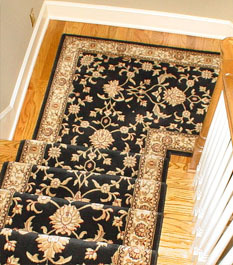 RUGS AND STAIR RUNNERS FOR EVERY BUDGET. We have experienced interior designers who understand how colors, textures, patterns and styles come together to add beauty to your home. When you come to our showroom, bring pillows, curtain samples, paint chips or photos so we can see the area you’re improving. Better yet, we’ll come to you with our “In-Home Consultation” service and see your space so we can narrow down your selection or design a custom rug just for you! Thank you … The rug you had sent to me last week (Kalaty/Tuscany 6x9) is fabulous!!! 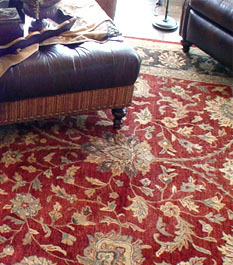 The rug is exactly as seen in the showroom, excellent condition when received, and the delivery was exceptional. You place the order on Monday and I received the rug before noon on Friday. I’m thinking about buying the runner in this same pattern for the bathroom. I’m going to think about it this week. Again, thank you so much for your help and fantastic service. Chris, I just received and quickly put down our new runner. It is absolutely gorgeous and matches beautifully. 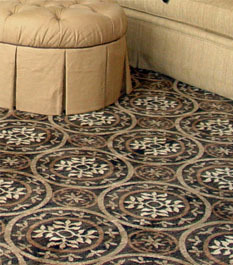 Thank you for taking the time to send me new pictures of carpets to choose from and helping with a price deal after I choose the one carpet that was discontinued. I definitely would recommend others to do business with you and your company. thanks for all of the incredible help on figuring out what size to make my rug. You went above and beyond. Thanks, I will recommend you to anyone that I know that needs to purchase a rug. Thank you, Chris and Meredith. You have been "Fabulous" to work with and I really appreciate everything you've done to help me. I purchased an area rug from Area Rug Dimensions. Before having to pay for it, I was given the option to take it home and try it in my room to make sure it fit and to see if I liked the color. The salesperson was very knowledgeable and explained the different types of fabric and weaves. He worked very hard to find a rug in my price range. 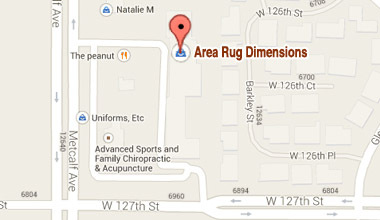 I sent one of my clients to Area Rug Dimensions and they were impressed at their polite and quick service. I just wanted to let you know that the Stanton Motion rug we purchased from you looks great in our kitchen and we are enjoying it. Thank you again for all your help. I will definitely consider you when I need another rug! I love the one I just got from you! Thanks so much - your customer service is outstanding! 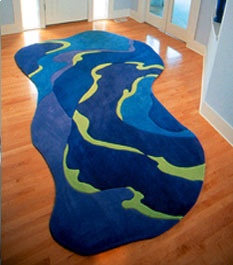 just wanted to let you know that we got the rug & it does indeed look "fabulous!" Thanks for your help with this. Just received and quickly put down our new runner. It is absolutely gorgeous and matches beautifully. Thank you for taking the time to send me new pictures of carpets to choose from and helping with a price deal after I choose the one carpet that was discontinued. Just received the rug. I LOVE IT!! Thanks so much for your help....it is perfect! I appreciate all the work you did with pictures and suggestions. Take Care! Fantastic not just fabulous!! Thanks so much for the great service and pleasant attitude. I'll be telling everyone about you!!! Have a great day! The stair runner was installed yesterday and it is fabulous! It looks absolutely regal and is so plush to walk on that I insisted that my husband and I go up and down the stairs in bare feet just to enjoy it! And the dyes match perfectly! I would be delighted to serve as a reference for Fabulous Rugs should you ever need one. Your customer service and insight are unparalleled. personally, your people are also very professional. free to copy this letter and show any prospective customers.